The portuguese flagged boat with founding partner Mirpuri Foundation and portuguese sailor Frederico Melo onboard is on the lead in Leg 8 of the Volvo Ocean Race. 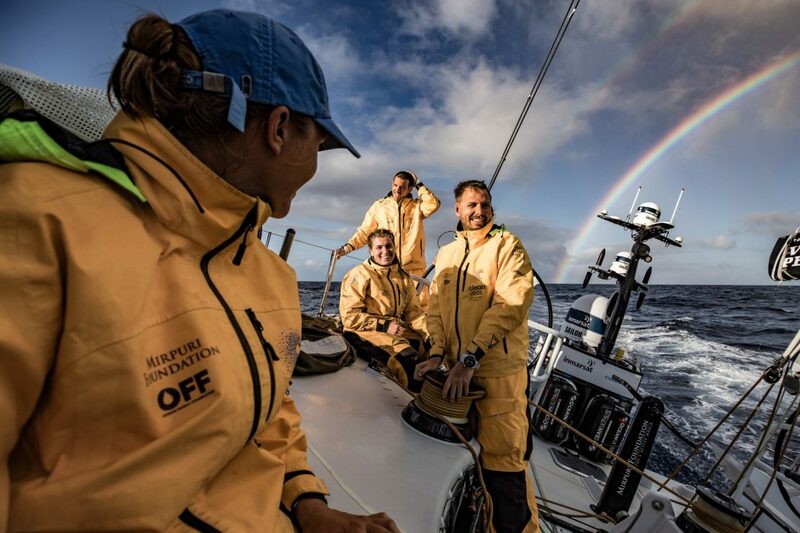 Dee Caffari’s crew set themselves up as the most easterly boat as the seven-strong fleet climb up the coast of Brazil bound for the finish in Newport, USA, some 4,000 miles away. 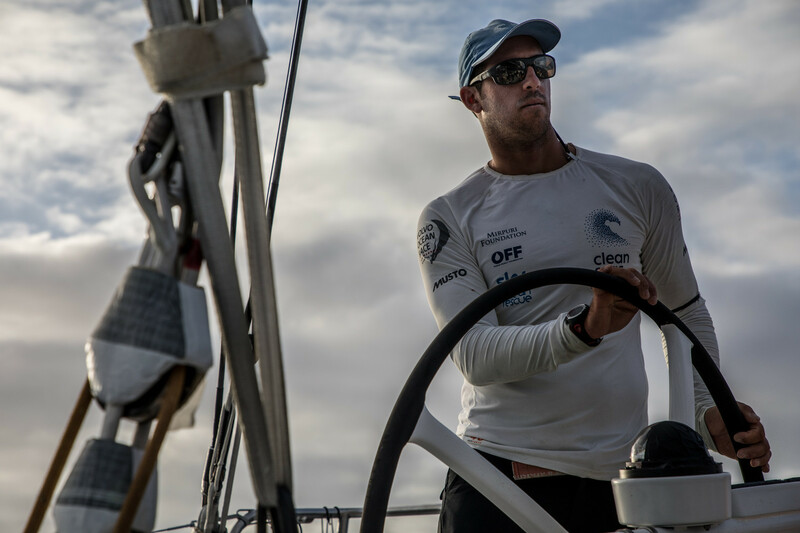 Caffari and Turn the Tide on Plastic navigator Nico Lunven gambled that being furthest east would yield results with better breeze giving them a boost on their rivals. 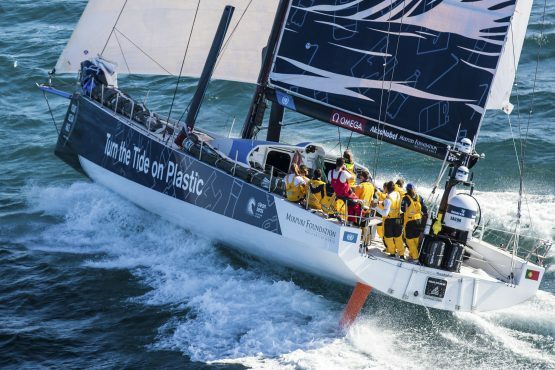 And as Leg 8 approached its sixth day their tactics seemed to have paid off as they edged out a lead of more than 11 miles on former leg leaders Vestas 11th Hour Racing. 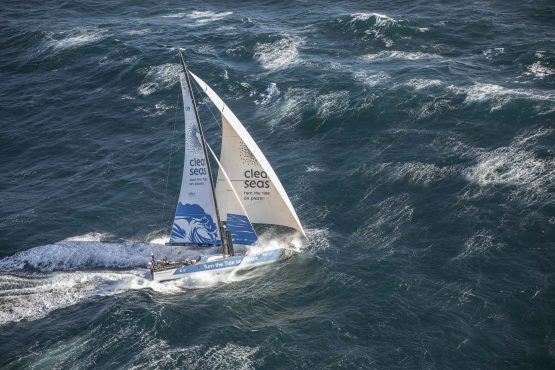 Despite their gains it has been anything but plain sailing for Turn the Tide on Plastic as they try to dodge the huge South Atlantic clouds threatening to slow their progress north. “Endless sail changes relied on the crew being up for most of it and so there was very little sleep to be had. Even now we have cleared the monster clouds we have constant clouds rolling through”.